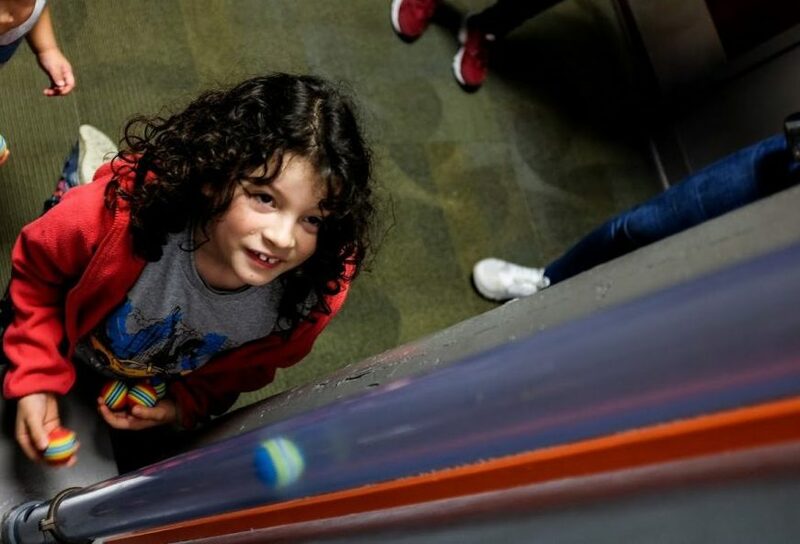 The Children's Museum of Tacoma has a mission to champion play. They do this through access for all families of their museum, regardless of ability to pay. They also offer 20+ free community classes in their Play to Learn series. Cost: What you can donate. The Children's Museum of Tacoma has no set admission fee. You pay what you can as a donation to keep their programs running (we donated $15 for our family). 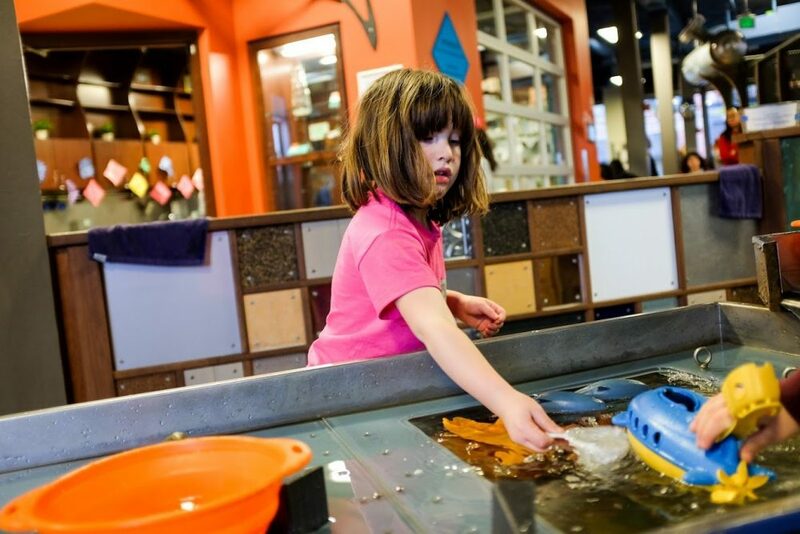 Hours: Wednesday-Sunday: 10am-5pm The Children's Museum of Tacoma is open seven days a week. However Mondays are for members only, and Tuesday have shortened hours (10-11:30) and focused on special needs play (how cool is that?!?). We went to the Children's Museum of Tacoma over the winter holiday and, to be honest, I thought I was taking the kids to the children's museum in Olympia. Apparently, my mom brain got the two cities mixed up en route, because it was the holidays, and things are crazy in the holidays. It ended as a happy surprise because I don't think I would have found the Children's Museum of Tacoma otherwise! Personally, I think the Children's Museum of Tacoma is a treasure. The playscapes were creative, engaging, and fun. Our kids were happy there - even my 8 year old enjoyed her time. Although, I do think she was at the cusp of being too old to fully enjoy the space. My 4 year old LOVED it. Best of all, it was seriously budget friendly. As a family who is always on a tight budget this was a great find and allowed us to treat ourselves to dinner at the Goofy Goose after. As someone who runs free community science programs, I fully appreciate the amount of groundwork that must go into keeping this space affordable for everyone and think that we should spread the word about these types of institutions. Overall, as a parent I would give the museum 5 stars. I think my 4 year old would agree, but my 8 year old would lower that score to 3.5-4 stars. There are a lot of different play areas at the museum which allows kids to explore and dig deeper in areas they enjoy. Below were some that my kids personally enjoyed a lot. You should check their page to see all of the playscapes as something I don’t mention here might be what engages your child the most. Inside the art studio is a Makerspace area for kids. I LOVE that this Makerspace is truly kid-friendly. They put a lot of thought into what types of tools would work well for kids of all ages and would still be highly functional. As a result, there were some screws, nails, and brads as ways to connect pieces together. To build items they had hammers, screwdrivers, hole punchers, and scissors. I forgot to take a photo of their hole punchers, but they were the best thing ever. Littler hands could easily punch through a dairy lid or cardboard. There was a wall of supplies, from cardboard materials to plastic lids, and various odds and ends to use as building materials. This allowed kids to visualize, play, problem solve, and create. My 8 year old created a tool to measure water height with while my 4 year old created a flowerpot growing a plastic and paper flower. Water play! What kid (or adult) doesn’t love playing with water tables?!? The museum had three main water tables; two that were shallower with flowing water and one deeper area where kids could see items floating or sinking for the clear sides. I loved making dams in the water, and my 4 year old really enjoyed planting little plastic flowers to see how that changed the water movement. 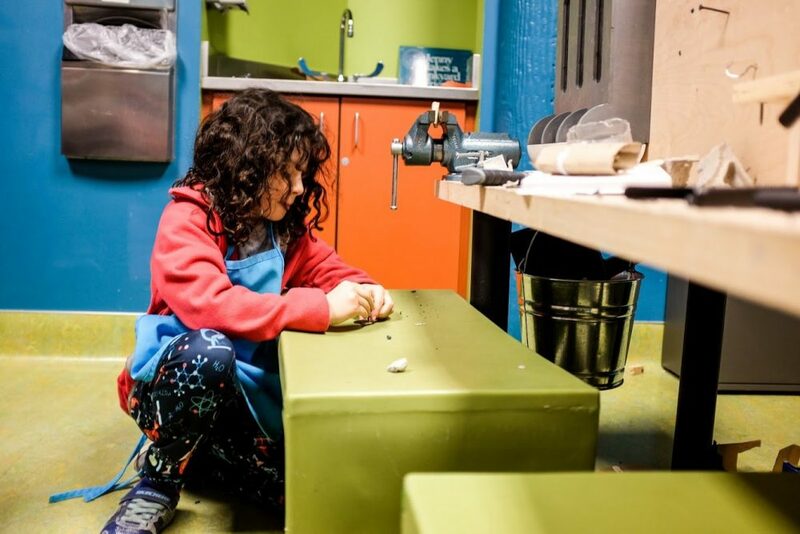 Similar to the Makerspace, this play area was a great way to allow kids to explore on their own, and also gave parents ideas on how to turn that exploration into more concrete educational pathways that would only bolster the play instead of inhibiting it. The Children’s Museum of Tacoma has a whole room that has two walls filled with chutes. You can build and operate the chutes to send scarves and balls this way and that using wind and gravity. My 8 year old played a lot on the ball wall trying to figure out how to arrange everything so each falling ball would enter into a Plinko type sorting piece. My 4 year old enjoyed making the scarves fly. I also noticed a bunch of kids having a ball in the fort building area of this room as well. This room was great paired with the Makerspace and art areas as it focuses more on gross motor skills. It seems like the board was truly envisioning educating play for the whole child. The last area my kids loved was the art area. Sadly we were all having too much fun in the art area to remember to take a photo. As a result, I have this photo creating art in the water area. But back to the art area, because man was it cool! They had a large bull when we were there that kids could add any amount of paint to. I can only assume this bull has been an installation for a while because there were layers of paint peeling here and there giving it an incredible texture. They also had a few art activities available. When we were there, kids could mix colors by spinning a paper plate of paint in a salad spinner. The staff also had an activity using oil pastels on to of various colored papers. I love how hands on the art room was, just like I love how hands on the rest of the museum was for us. 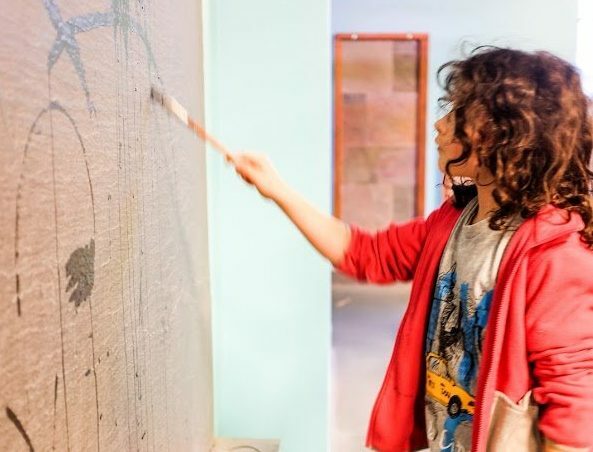 Take note, however, that the art room closes a bit earlier than the rest of the spaces for them to have additional clean up time – so don’t arrive at 4:30 hoping to get painting.